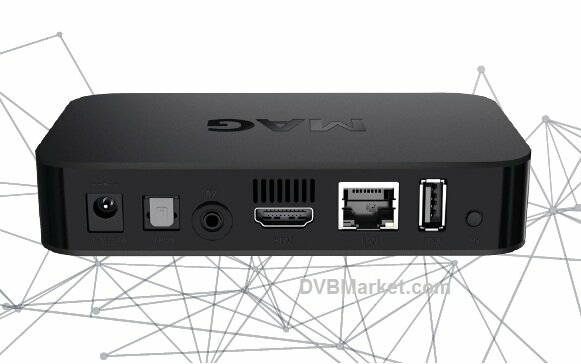 Infomir MAG 420w1 4K is next generation of MAG 322 or classic Infomir MAG 254 with UHD resolution support a powerful and cost-effective solution for quickly launching IPTV/OTT projects. Thanks to the ARM Cortex-A53 processor on the Hi3798MV200 chipset and the built-in HEVC codec, this set-top box easily reproduces 4K content at 60 fps and does not create excessive network loading. MAG420w1 delivers pure surround sound with the help of built-in Dolby Digital Plus eight-channel audio support. DVBMarket offering full portfolio od Infomir products, don´t hesitate to contact us. Shipping worldwide directly in shopping cart. 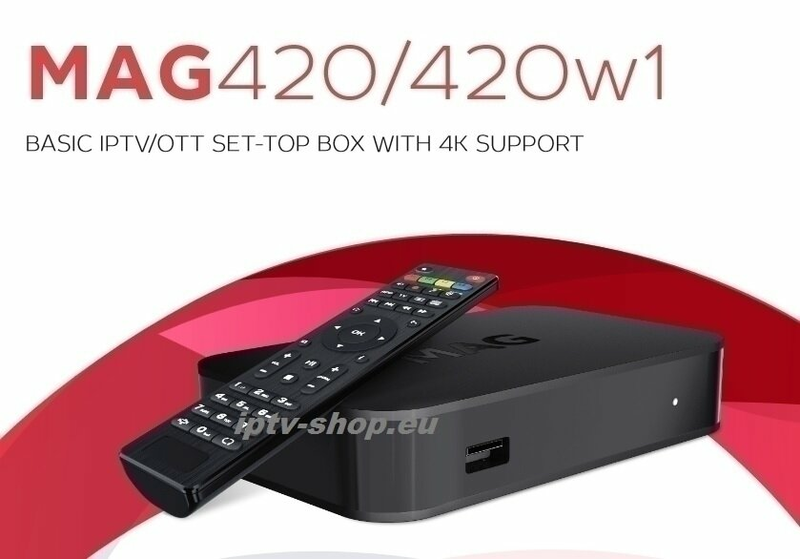 Sales of MAG 420w1 4K IPTV planed from may 2019 !